Health officials in many countries recommend vaccination against influenza and whooping cough during pregnancy to help protect newborns but there is no research to establish long-term safety of this practice. Dr. Lakshmi Sukumaran from immunization safety office at the U.S. Centers for Disease Control and Prevention and associates conducted a study which found that infants were less likely to get influenza or whooping cough when their mothers were vaccinated against these infections during pregnancy, and they didn’t pose a safety risk for babies. Both influenza and whooping cough are highly contagious, and babies who catch these infections often require hospitalization for serious complications such as pneumonia. While health officials in many countries recommend vaccination against influenza and whooping cough during pregnancy to help protect newborns, research to date hasn’t offered a clear picture of the long-term safety of this practice. For the current study, researchers examined data on 413,034 babies born between 2004 and 2014, including 25,222 infants who were hospitalized and 157 who died within the first six months of life. They found no link between these fatalities or hospitalizations and women’s decisions to get vaccinated against whooping cough or the flu during pregnancy. “We conducted this study because pregnant women are especially concerned about how any exposure during pregnancy could potentially negatively impact their children,” said lead study author Dr. Lakshmi Sukumaran, of the immunization safety office at the U.S. Centers for Disease Control and Prevention in Atlanta. “We wanted to provide reassurance that these vaccines, which are recommended for all pregnant women, aren’t creating a risk for the baby,” Sukumaran said by email. Both influenza and pertussis, nicknamed whooping cough because of the sounds patients make as they gasp for air during intense coughing fits, are most severe and potentially lethal for newborns who are too young to be vaccinated, researchers note in Pediatrics. Vaccinating women during pregnancy can transfer some immunity to newborns and help protect them during these vulnerable early months of life, previous research has shown. U.S. doctors recommend that babies get annual flu shots starting when they’re six months old and four doses of the DTaP vaccine for diphtheria, tetanus, and acellular pertussis starting at two months old. Among the babies hospitalized in the study, 4,644, or 18 percent, had respiratory problems, 2 percent had influenza and 3 percent had pertussis, the study found. Babies hospitalized for breathing problems were 21 percent less likely to have mothers who received the pertussis vaccine during pregnancy than infants who weren’t hospitalized. While 14 deaths, or 9 percent, had a respiratory cause, none of the fatalities were caused by influenza or pertussis. The most common causes of death were unknown causes, sudden infant death syndrome (SIDS) or medical problems babies developed during pregnancy or within a week after birth. One limitation of the study is that it only included data on people with health insurance, and results might be different for mothers and babies who were uninsured, the authors note. Researcher also relied on medical records of vaccination, which might not record every woman who received vaccines during pregnancy. Even so, the results should be reassuring to pregnant women concerned about vaccine safety, said Annette Regan, a public health researcher at Curtin University in Bentley, Western Australia, who wasn’t involved in the study. 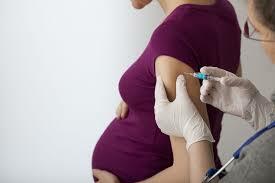 The results also reinforce that vaccinating pregnant women can protect their babies, and should help convince women who are hesitant about vaccines to consider getting their shots, said Kerrie Wiley, a public health researcher at the University of Sydney, also in Australia who wasn’t involved in the study. “Worry about how safe the vaccine is can contribute to their hesitancy,” Wiley said by email.